I went into Maleficent not knowing what to expect. With the mixed reviews and that I was never that attached to Sleeping Beauty, I went in not really expecting greatness. More or less expecting a story that was basically told from the villain’s perspective -giving reason for villainy, maaaaaaybe including an alternate extended ending to tie things up. I should have known better. 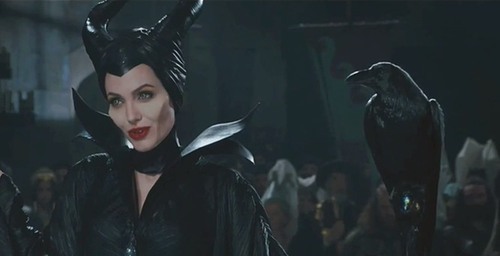 Maleficent is a magnificent movie. Once again, Disney moves forward on redefining the long standing concepts of love it has used since the beginning. The film brings a modern perspective to Sleeping Beauty that I didn’t realize it desperately needed. I can’t decide if I want to applaud or reprimand the Maleficent press team. I love that, just like with Frozen, they were able to mislead me completely with the trailers, completely taking me by surprise. Yet the PR team misfired a bit because I know of plenty of kids who have no intentions of seeing it based on how scary the trailers seemed. The storytelling is brilliant. 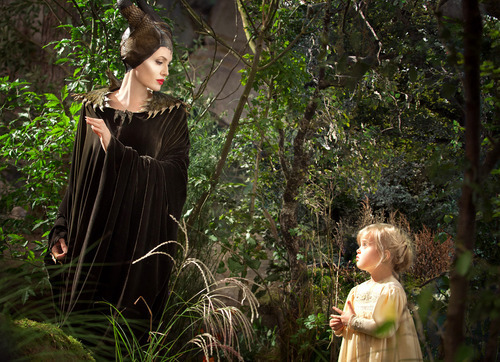 Wherever portions of the original Disney film lacked depth, Maleficent added layers upon layers of story. Every character is expanded upon and changed to align with the more distinct story. And obviously the special effects and acting are absolutely captivating. Even watching in our car at the drive-in, I was brought completely into their magical world. Maleficent is a fantastic movie for all. You’ll love it at once, the way you did once upon a dream. Maleficent is out now in theaters everywhere. This review originally appeared on Cooper’s site, Cooperdiem. It’s been republished with permission. Follow Cooper McHatton on Twitter.